The tegaru, getting fed up with the weyane. Re: The tegaru, getting fed up with the weyane. hgdef blind follower posting tweets of opposition leader in Ethiopia? Priceless! You realize these tweets means automatic torture, jail and killing if from Asmera rather than Mekele, right? Where is your principle? Gud! Anyone, that opposes the weyane Meqele-rats is my friend. I figured that much but what about speaking up for Eritrea where such opposition, unlike Ethiopia in which you keep bringing up, is met by jailings, tortures and killings? I mean you beating weyane with a stick that is even more appropriate for HGDEF, no? I say more appropriate because Abreha Desta couldn't do that from Eritrea and stay alive, right? tplf is mad that they've been cut down to size, i.e. 6-10% of ethiopia and power that is accordance with that; as opposed to the lion's share they got in the recent past. ...Hence, Eritrea and Eritreans should defend and support TPLF... Is that what you are trying to tell us, Agame sister Eden ??? 110% Cosign with my dear Eritrean brothers Zmeselo and Fed_UP! Anyone that opposes the coward TPLF Meqele rats is my friend too. I am not even HGDEF member or supporter at all! I am just a proud Eritrean and that is what any real Eritrean should do! Not at all. All I'm saying is we look foolish quoting Ethiopian oppositions freely tweeting away. We all know this amounts to first degree murder back in Asmera. It just makes Eritreans look weird cheering for Ethiopia's Abreha Desta and Andom Gebreselassie while supporting our tormentors at home against Eritrea's Amaniel Eyasu. But, that's where you're wrong. Amaniel Iyasu et.al., serve the same rats we're hoping to eradicate. "First degree murder" for the likes of Amaniel is a very lenient punishment, in my view. Are there activists, public intellectuals or politicians you consider legitimate and pro Eritrea? P.s. Ethiopian oppositions you cheer for today also worked with HGDEF. So Eritrea oppositions working with Weyane should be seen same. You can't have it both ways and argue you have principle. P.s. Ethiopian oppositions you cheer for today also worked with HGDEF. So Eritrea oppositions working with weyane should be seen same. You can't have it both ways. ..Can someone please explain to me what it means in Agames vernacular? Sudanese authorities on Wednesday refused to receive a Qatari delegation headed by Foreign Minister Mohammed bin Abdulrahman al-Thani, a source confirmed to Al Arabiya. After the Sudanese officials refused to receive al-Thani in Khartoum, the Qatari delegation left the Sudanese capital and returned to Doha. 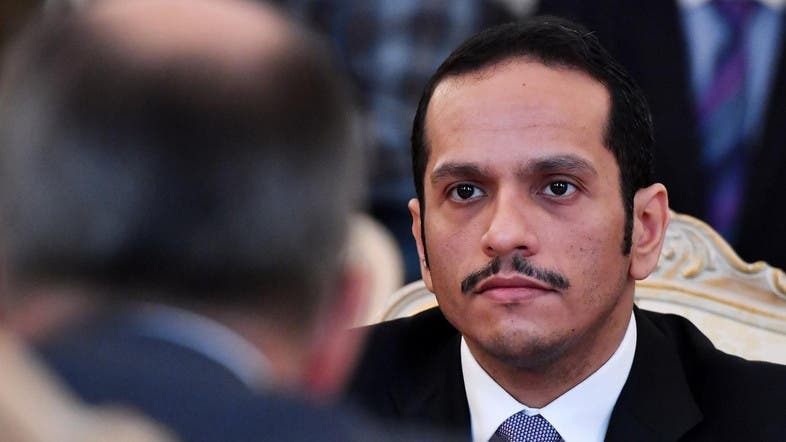 The Sudanese source told Al Arabiya and Al Hadath that the Qatari delegation was informed that diplomatic protocols require coordination and agreement before the visit, which did not take place. The head of Sudan’s Transitional Military Council, Lieutenant General Abdul Fattah Burhan, welcomed a Saudi-Emirati delegation on Tuesday. The joint delegation delivered a message from leaders in Saudi Arabia and the UAE in which they expressed their readiness to support Sudan and its people, according to a report from the official SUNA news agency. Time is ticking, for the last regional cancer to be surgically removed! Last edited by Zmeselo on 17 Apr 2019, 19:59, edited 1 time in total. The downfall of tplf in tigray has started in Enderta. Coward tplfs who were chased by qerro and fano with bare hands are now acting tough against the very people that abetted them all these years. A delegation from Saudi Arabia and the United Arab Emirates met with Sudan’s ruling military council in Khartoum on Tuesday in the aftermath of a popular revolt that toppled longtime autocrat Omar al-Bashir, the Sudanese news agency SUNA reported. According to the state agency, the head of the interim military council Abdel Fattah al-Burhan received “a high-level” Saudi-UAE delegation that delivered a message from their leaders expressing the two countries' interest in Sudan’s stability and security. The delegation also met with the deputy head of the military council, Mohamed Hamdan Daqlu, to discuss bilateral relations, according to SUNA. Egypt's general-turned-president Abdel Fattah al-Sisi called Burhan on Tuesday to offer his backing, a spokesman for Sisi said. The delegation's visit came as questions are emerging regarding the role rival Gulf states aim to play in the Sudanese transition, with some observers worrying that Saudi Arabia and the Emirates may back a counter revolution. The Saudi government http://www.arabnews.com/node/1483611/saudi-arabia officially declared its backing for Sudan’s interim military rulers on Tuesday, highlighting the kingdom’s recent package to Sudan, including oil derivatives, wheat and medicine, official Saudi media reported. On Wednesday, local Sudanese media wrote that Bashir had been moved to Khartoum's Kobar prison https://www.middleeasteye.net/news/depo ... amily-says and was held in solitary confinement after being moved from his temporary detention in the presidential residence. The military removed Bashir from power after months of popular protests against his 30 years in power, but demonstrators are still demanding an end to military rule, religious governance and a transition to a democratically elected civilian government. Former minister of defence Awad Ibn Auf, who announced Bashir's ouster and said he was being detained in a "safe place", stepped down as head of the interim military council after only a day in the post. Burhan now heads the council, which has said i will hold elections within two years - a timeline deemed too long by protesters. I see no other action than mass resignation to meet the loss of lives for many at such young age. TPLF led at both regional and federal level . There's no escape then from total responsibility - being in the driver's seat of the economy for three decades. All activists, media personalities, religious leaders and politcians from Tigray in particular speak up now or lose your credibility forever. TPLF Top leadership take responsibility for this and others before this. P.s. I thought the recent boat tragedy was another propaganda story to tarnish Weyane as usual. But the story of youth that perished in search of better lives elsewhere is now confirmed. Hawazen I want you to long on as Meron or cowgirlhumora, you su'ck my anaconda better when you come with those nicks and without your diaper smelling like sewage, your Hamasen-Gonderam dikala fi"ntita is ho't for my Anaconda when I see you in highheels, Miniskirt, blue G-string, and yellow bras. You cursed Hamasen tran'sgender race is born to su'ck Agazian Christian Tigrean and Agazian Midribejan muslim Di'ck.